Meet in your hotel lobby then join our Rep in private transfer to Cairo international airport and board the Morning flight to Sharm El Sheikh. Meet in Sharm airport then transfer to the sea dock to join the departing the cruise boat. 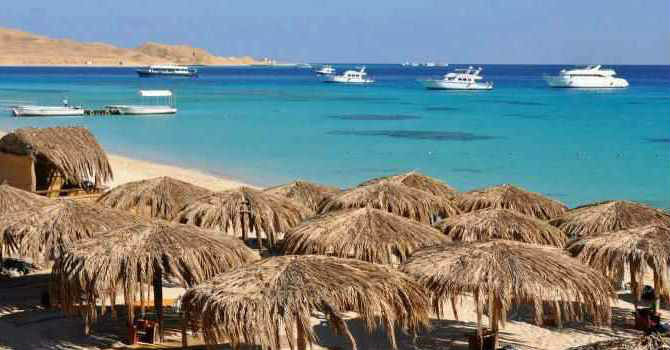 Explore the ultimate red sea pretty with snorkeling opportunity in Ras Mohamed, enjoy the Semi submarine experience with its supper on board buffet and drive backward to the sea marina. It is a great fun to jump in the water and snorkel, you will be always in safe hands with professional instructors and tender boat escorts snorkelers in the water. Disembark then head to uncover Sinai desert with amazing 4 wheeled quads, you will drive your own dune Buggy across the desert wandering the beauty of the Bedouin life, savor their healthy tea in a memorable sunset views of the surrounding mountains. We will tour the city of Sharm El Sheikh exploring its top attractions , free time in the city center of Naama bay then transfer to Sharm airport for the flight back to Cairo and transfer to your hotel.